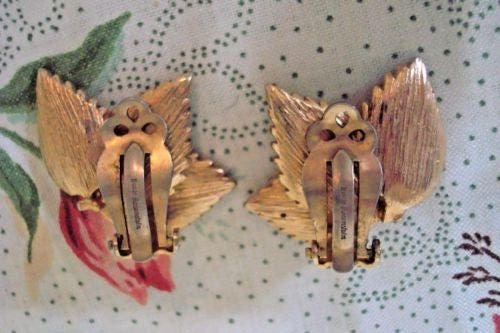 Classic vintage earrings by famous maker Nettie Rosenstein. 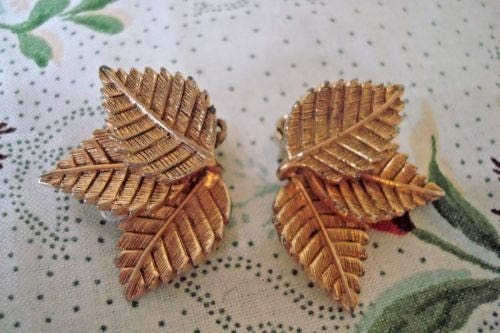 High-end costume earrings in a gold tone metal cluster leaf design. Dimensions: 1.25 inches wide x 1 inch tall at widest posts. Solid clip-on attachments with the Rosenstein label. Compare higher prices on this vintage brand elsewhere.